The contrast couldn't have been more stark -- the Pro-Life March in Washington D.C. last week was respectful, loving, and celebrated the life of an unborn child. On the other hand, the (Million) Women March, just days before, was hostile, hate-filled, and had a decidedly anti-God spirit about it. And it is that spirit that I wish to examine today. First of all, as a woman, I must say that I found very little in common with the vitriolic speeches I saw being performed by "celebrities" at the Women's March. And honestly, if this was supposed to be about solidarity among all women, it was a dismal failure from my perspective. Although founders of the march stated its purpose was not to be an anti-Trump rally, it very clearly became one. And when pro-life women were not allowed to join the march, then it was quite obvious what this was... an Activist rally of a particular stripe. If you called yourself an activist for abortion, or an activist for the LGBT community, or an activist for the Black community, or an activist for any cause that was anti-Christian ... then you were welcomed with open arms. It was obvious to me that aggressive feminism was on parade, with racism and political bias marching in step. And it was blatantly obvious to me that the Jezebel spirit was all over this confluence of angry women. And frankly, it is time we have a discussion about the influence of this most powerful combatant in our spiritual war with the dark side. Yes, there is a demonic spirit that bears the name of an actual woman who existed in the Bible. This woman is considered one of the most wicked in Scripture and here are the simple facts of her life: Jezebel was the daughter of Phoenician king Ethbaal, who also served as a priestess to Baal worshippers. King Ahab, most likely for political reasons, took Jezebel as his wife during either the tenth or ninth century B.C. Phoenicia was a much more worldly and cosmopolitan civilization than Israel, which might explain Jezebel's rebellion against the conservative lifestyle of her new home. Ahab began worshipping Baal upon his marriage with Jezebel, and even built a church to Baal (1 Kings 16:32). In fact, the Bible tells us that Ahab “sold himself to do evil” (1 Kings 21:25), and he “did more evil in the eyes of the LORD than any of those before him” (1 Kings 16:30). For her part, Jezebel brought hundreds of Baal prophets to the country. Her defense of her native religion was so fervent that she ordered the extermination of the prophets of Jehovah, the Israelite God. Even the famous prophet Elijah fled once he discovered that Jezebel had a personal vendetta against him. Jezebel is also famous for her involvement in the death of Naboth, a righteous man who refused to give up the inheritance of his family land to the King. Ahab was unsuccessful in negotiations for Naboth's field, so Jezebel stepped in and found conspirators who accused Naboth falsely of a crime that resulted in Naboth being stoned to death. Ahab accepted the wicked acts of Jezebel, and because of Ahab and Jezebel’s shocking murder of Naboth, God condemned them both. Ahab would die in battle, while Jezebel continued to hold some influence over the land. When she got word that Jehu was coming to kill her, she applied makeup and dressed herself in fine clothing. (Jehu was the King of Israel, noted for exterminating the house of Ahab at the instruction of Jehovah). Some believe that Jezebel's adornment was an attempt to seduce Jehu or to die in a dignified manner. In any respect, she was pushed out of the window and her body was eaten by dogs (2 Kings 9:30–37). But the world had not seen the end of Jezebel. Because the real life Jezebel was such a willing student of the false and evil god, Baal, her spirit became a very powerful tool for Satan to use throughout the centuries, and we saw her on full display during the Women's March in Washington D.C. Let me explain further... As I have written in the past, a careful study of the Bible reveals different kinds of spirits; some of which I would call "purpose spirits" -- the purpose of a spirit of anger is to provoke a person to act out in rage; a spirit of murder's purpose is to get someone to commit murder; and a spirit of lust, a spirit of rejection, or a spirit of pride all have purposes with which they are charged to perform for Satan. But there are overlords in the demonic kingdom; ranks and hierarchies of demons that we encounter in spiritual warfare: rulers, authorities, principalities, powers, forces, dominions, princes, etc. They are the smartest and most cunning of Satan's evil spirits, and Jezebel is one of the highest-ranking in his evil kingdom. The Jezebel spirit will try to infect and contaminate a person in the same way that the real-life Jezebel infected King Ahab with her evil intentions. People will say and do some of the most horrible things, but yet find some way to rationalize it and think they are perfectly justified in doing what they are doing. This spirit will play some of these people like fiddles, like a puppet on a string, with the puppet master being the Jezebel spirit itself. The personality traits of someone exhibiting the Jezebel spirit are the following: vileness in speech; lustful and seductive; prideful and narcissistic; judgmental, critical, condescending, and demeaning; combative and confrontational; cannot tolerate constructive criticism; hates anything associated with Christianity or Biblical values of a woman. I believe the following remarks by those who played prominent roles in the March will demonstrate the personality traits of the Jezebel spirit: "I am a NASTY woman"; "We are here to be NASTY"; "Our p-----s aren't for grabbing". 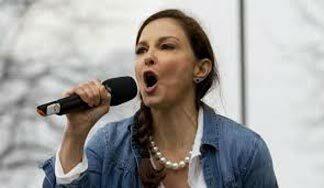 These are all remarks made by actress Ashley Judd as she cunningly professes to be protesting the mistreatment of women by sexual predators. But, sadly, I believe that her molestation as a child opened a portal for the Jezebel spirit to come in; the spirit that ultimately convinces that child fragment of Ms. Judd that it's okay to be angry and strike out in retaliation for the injustice done to her. But the Jezebel spirit operates with maximum pride. As a result, it will try to infect the host with that same kind of pride. And I'm sure you've seen Madonna's rant during at least one news cycle. Her profanity-laced speech is pure Jezebel. And Scarlett Johannsen's speech displayed the narcissistic attitude of the Jezebel spirit: "Before I can support you, Mr. President, you must support me!" Each speaker was infused with self-righteous anger and professed to speak for all women. The Jezebel spirit worked perfectly in that environment... all the speakers knew how to talk the talk, and draw impressionable people into a web of distorted and hate-filled tirades. They all had charismatic energy that had a powerful effect upon the crowd, whipping them into a frenzy. And the leaders were all sharp, intelligent, attractive people. 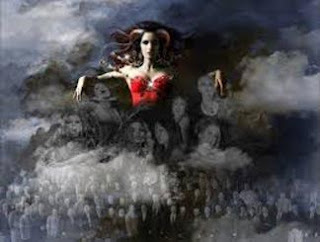 And those are the kinds of people that the Jezebel spirit targets; people who like to be out front; controlling and dominating people -- just like Queen Jezebel, herself. But here is what we need to see; here is the devastating effect that the Jezebel spirit has had on our country and society ... When you combine the power that this spirit has to emit a seductive, charismatic type energy off a person, and then it attaches to a person who is naturally attractive, sharp and intelligent, you have a very deadly combination that this spirit can work with to achieve its ultimate goal. And that goal is to get total control so it can then work to take down and completely destroy either a person, marriage, church, ministry, friendship, company, a government, or a country. 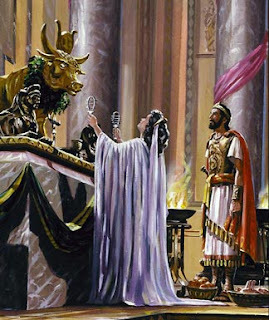 Just like the Phoenician princess Jezebel, who was a high priestess of Baal, this spirit seeks to infiltrate (like Queen Zezebel did Israel), and once in, it seeks to attack, undermine, and destroy everything in its path, taking absolutely no prisoners. It’s goal is total death and destruction. Plain and simple. Its purpose to to cause major dissension, strife, and chaos. The Jezebel spirit will go after anyone in a leader position (that's why there was so much hate displayed against President Trump at the March). It will have a mocking attitude about the spirit (hence the jokes about Trump's appearance). But the bottom line is this ... we have given far too much ground in our society to this evil and hateful spirit. We see her influence in the worship of abortion, worship of unnatural relations between the sexes, worship of radical feminism, and the ensuing confusion in gender identity. We have allowed this seductive spirit to lure us into a false sense of pride about women's issues, and Jezebel has established a stronghold in this toxic environment; a stronghold from which she launches major attacks on the family unit, upon unborn children, and upon the sanctity of marriage. I know that defenders of the Women's March will declare that is was all about respect and equality; an opportunity to present hope and optimism for women of all ages and ethnicities. And, in no way am I insinuating that women deserve less. But to this woman, it felt rife with evil and hate. The women I saw (who say they represent me) appeared demanding and manipulating. And when I see signs that read, "If Mary (Magdalene) had had an abortion, we wouldn't be in this mess! ", then I know in my spirit that I am seeing the blasphemous spirit of the priestess of Baal. She is alive and well in the 21st Century. And we seeing her in women who reject holiness, and who indulge in self-worship. And as alarming as this may sound, the goal of the ancient Jezebel is being broadcast by the Jezebel spirit in this Age: that the false god of Baal be worshipped at the same altar as the True God... and the sacred rite of abortion is the sacrifice he desires. I want to leave you with a quote by Landon Shott, who ministers with his wife, Heather: Jesus's words in the New Testament (Revelation 2:20) were, "Nevertheless, I have this against you: You tolerate that woman Jezebel, who calls herself a prophetess." In the New Testament, Jesus noted the spirit behind the woman Jezebel. Theirs was toleration of the spirit by the ignorance of it. I believe that the spirit behind the woman, Jezebel, is the very same spirit at work in our nation today. This spirit is bringing the same destruction to the political sphere and God's house, the church, through compromise, self-worship, immorality and a removal of the prophetic voice (prophets). We must be spiritually discerning at what is going on in our nation. We can't link good causes with evil spirits. We cannot compromise with a Jezebel spirit. We can't align with it; as Jesus said, "We can't tolerate it!" We need to expose this spirit, confront it and defeat it through prayer and humility. 1 Kings 21:25 "But there was none like unto Ahab, who sold himself to work wickedness in the sight of the Lord, whom Jezebel his wife stirred up." Labels: False Gods, Our Culture. Belle, My wife and I have run into Jezebel in our deliverance ministry and it seems its always a fight. Jezebel is a powerful principality who never seems to go quietly. She is the perfect spirit to unleash on a country like ours. Vanity, beauty and self importance are the perfect ground to seed this spirit into. You have done a great job of shining the light on the problem but my frustration is with the impotence of the church that continues to engage in biblical context. To the church this isn't a part of our calling? They refuse to see what Christ expected of them, much less to act on it. Fear has the body of Christ trembling in the corner. Im not sure when this will change if ever but you keep shouting it from the roof top! I totally agree with you about the Church's impotence or blindness, or whatever you want to call it; the result is they are ineffective in warning or protecting their flocks from the effects of evil spirits. I confess that I, too, am frustrated with the unwillingness of Pastors to see that spiritual warfare is very real and that there is a need for healing and deliverance ministries within their congregations. But I am beginning to see the stirrings within the Body of Christ that recognizes what the Bible tells us about these subjects pertains just as much today as it did 2000 years ago. It will change as more people like you and me speak out about our experiences, and those whom Jesus has set free begin sharing their testimonies. And if I might be so bold to ask, I would love for you to share some of your thoughts and experiences about what you and your wife have experienced. If you are so inclined, I would be glad to give my readers insight from someone else on the front lines. Let me know if that is something that interests you. I also agree with you Belle Ringer. Pastors are in total ignorance of the spiritual warfare. There are so many people who are demon possessed in Churches today because of some Pastors who are deeply grounded in the Word of God.